As we’ve made more of a name for ourselves within various startup communities, we’re commonly asked how we moved from our beginnings with little resources and no connections to a worldwide concern in robotics, especially with the ﬁeld exploding as it has. In truth, there is a great deal to be said for “being in the right place at the right time”, but there are a few key simple lessons we’ve learned along the way that others with good ideas might be able to beneﬁt from. 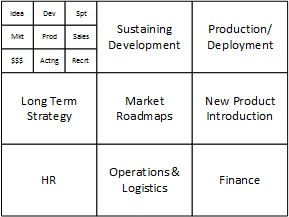 One way to frame the goal of a startup is to get a business model from Horizon 3 to Horizon 1 before the money runs out. The big diﬀerence between a startup and an established company is that an established company tends to have time and resources on its side. A group of four of us working from a combination of school labs, living rooms, and basements doesn’t. However, the concept still holds. How does one get from having an Idea to being a Company, where the latter hopefully implies things like having vacation time and salaries? 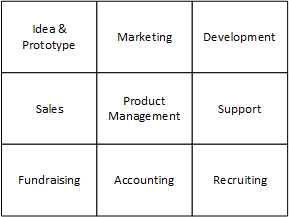 I’m not going to go into detail here about how one should or should not deﬁne or develop a product best, because there are innumerable ways and opinions put forth on that topic in particular, but we’ve found there are three basic stages you’ll probably go through while building out your team and company that correspond very closely to the 3 Horizons. Ideally, you’ll make it through these stages as fast as you can, because making it to the end means you can start all over again…but bigger! First, there’s the Idea. This is why I’m usually asked about this. I run into a person or six at a conference and they have an Idea. Since this is probably a robotics conference of some kind, this Idea has a Prototype already, which is probably good enough for putting up on a crowdfunding site. And, because startup communities in tech hubs the world over are doing their jobs, these people probably have a Market in mind. Our initial work is done. Unfortunately, they’re wanting to know what they need next, and the answer is usually “everything”. Or, at least, a “Startup”. The idea is still important, but now getting it into shape for customers is important. Of equal importance is deﬁning or creating your market, supporting your customers, making sure there’s cash in the bank, determining which features are releasing when, and it goes on. Here lies the difficulty; every new idea needs a startup built with a slightly different recipe. The common theme I’d like to get across is that once you’ve decided to move past that ﬁrst idea, you’re on the path of having to build the rest of the Startup, and you’re going to be learning a lot along the way. You’ll have a lot of different things to start caring about all of a sudden over and above your idea, and you’ll also be taking on more ﬁnancial and personal risk. So, it’s best that you stop being a Startup as soon as possible and become a Company. This is one of the key reasons behind the “Lean Startup” approach – startups are risky and unstable, so get from Idea to Company as fast as possible . Now, you’ve not only incorporated the idea into a sustainable business (Horizon 1), you’re building a team and structure that help you get your other ideas into the world, whether by applying your ideas into similar products and markets (Horizon 2), or by going all the way back to formula with new ideas based on the experience and team you’ve built so far (Horizon 3). For those of you with ideas, don’t be discouraged by how small the idea might appear in the end once it’s examined as part of the greater whole. It is necessary. However, it’s not sufficient by far, and it’s best to go into starting an endeavour like this with at least a bit of awareness of what’s waiting on the other side. 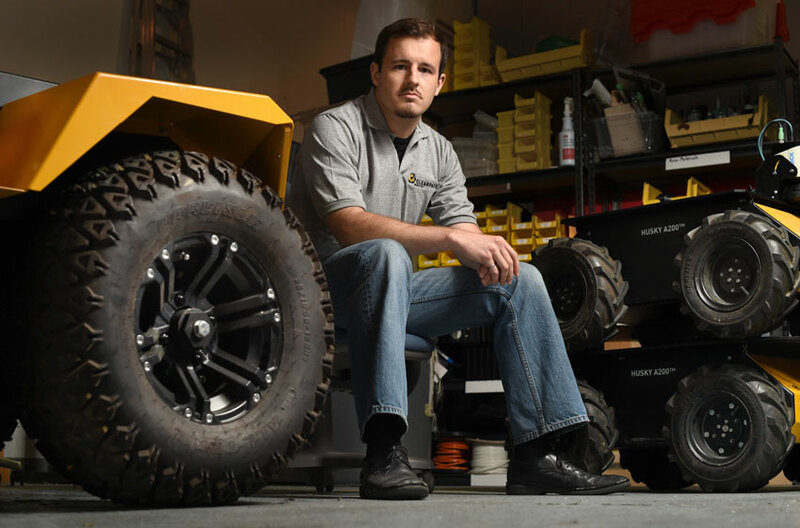 Ryan Gariepy is Co-Founder and CTO of Clearpath Robotics. He drives the development of Clearpath’s autonomous control software modules while guiding the continued expansion of Clearpath’s research platform lines, environmental surveying technology, and custom industrial automation solutions.